Electric vehicles (EVs) are taking the market by storm, and soon, auto manufacturers everywhere will fall in line. In fact, investors watching this shift are gearing up to make a lot of money by investing in electric vehicle stocks. Just take a look at Volkswagen AG's (OTCMKTS: VWAGY) most recent announcement: They plan to produce 22 million EVs within the next decade. And right now, manufacturers everywhere are slowly phasing out gas-powered vehicles. If you don't believe that, just look at their online catalogs. Check out all the hybrids on the road nowadays. This is a $1.7 trillion industry where the biggest names are announcing their lineups of hybrids and EVs. And while most vehicles still run on gas, the above trends show the shift has already started. Whether it's Ford, BMW, or Volkswagen, they're all putting money into hybrid and electric vehicles. 5G Revolution: This breakthrough technology is expected to unleash $12 TRILLION in new wealth… and one $6 stock could be better-positioned than any other to skyrocket. Learn more. Even Money Morning Defense and Tech Specialist Michael A. Robinson sees EVs as the future of the auto industry. In fact, he has a play that can help you get in on the action. It's one of the best electric vehicle stocks you can buy. And it's kind of like owning an exchange-traded fund (ETF) for future automotive technology. Volkswagen's goal of 22 million EVs is a game-changer for the auto industry. In fact, it's a 46% jump from its previous target of 15 million. And right now, Volkswagen is the best-selling automotive company on the planet. It has even outsold Toyota Motor Corp. (NYSE: TM) for the past three years in a row. Beyond that, the company predicts 40% of all its vehicles will be EVs in just a few years. By 2050, it expects to be completely carbon-neutral. Allied Market Research says Volkswagen is a key leader in global EV production. According to their research, it's a market segment that's growing more than 22% annually. AMR even predicts that the company's EV sales will top $567 billion by 2025. That's a 380.5% increase from 2017. 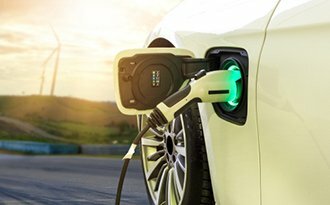 With such impressive growth, it's a golden market for automotive suppliers to jump in and supply components to manufacturers for EVs. In fact, we have a company that is one of the best suppliers to automotive manufacturers. This company is one of the best electric vehicle stocks to buy today. So, if you're a tech investor looking to make big profits, you better take this EV stock out for a spin.